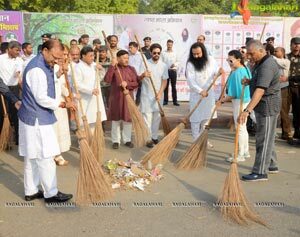 Revered Saint Dr. Gurmeet Ram Rahim Singh Ji Insan started his drive to awaken Indians to the importance of cleanliness by kicking off the 32nd phase of the “Ho Prithvi Saaf, Mite Rog Abhishap” campaign in the capital city of India New Delhi. 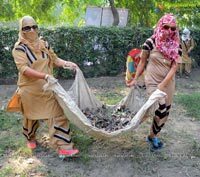 Around 7 lakh volunteers from across the country braved the scorching heat as they cleaned up every corner of Delhi as if it was their own house. In just a few hours, tonnes of garbage and rubbish were cleaned up from different parts of the capital city. 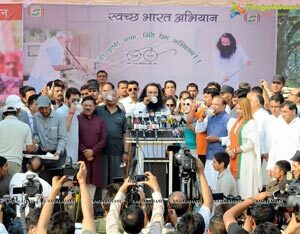 Revered Saint Dr. Gurmeet Ram Rahim Singh Ji Insan inaugurated the campaign at the India Gate in Central Delhi following which the mega clean-up drive started immediately in different parts of the city. 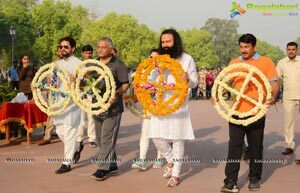 The campaign was initiated by the Revered Saint by offering a floral tribute to our brave martyred soldiers at the Amar Jawan Jyoti memorial near the India Gate. 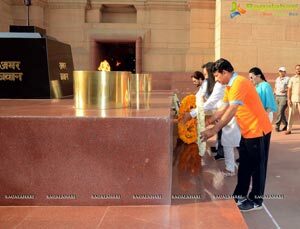 Along with the Revered Saint, tributes were paid to our martyrs by Minister of State for External Affairs Gen. V.K. Singh, Member of Parliament and the Delhi in-charge of the BJP Manoj Tiwari, Member of Parliament Anurag Thakur, and the Revered Saint’s daughter Honeypreet Insan. 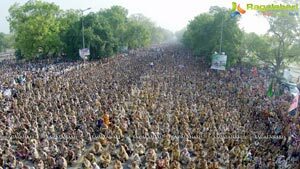 After this, the Revered Saint arrived at the venue where lakhs of volunteers from the Shah Satnam Ji Green-S Welfare Force Wing were ready with brooms and cleaning implements while eagerly awaiting his presence. 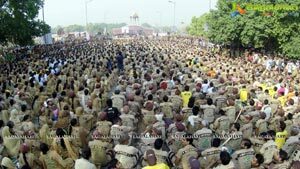 The Revered Saint blessed all the volunteers who had turned up in large numbers for this noble task. 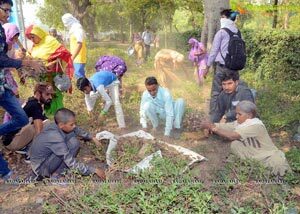 Following this, the clean-up campaign was immediately started by the Revered Saint along with a host of eminent attendees which included Minister of State for External Affairs Gen. V.K. Singh, Member of Parliament and the Delhi in-charge of the BJP Manoj Tiwari, Member of Parliament Anurag Thakur, BJP’s National Vice-President Shyam Jaju, National General Secretary of the BJP Dr. Anil Jain, and the Revered Saint’s daughter Honeypreet Insan. 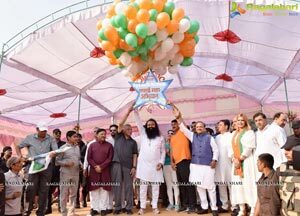 The assembled guests and the Revered Saint also released balloons which carried slogans related to the clean-up campaign. Waving a green flag, the Revered Saint exhorted all volunteers to dedicate themselves fully towards the campaign. During the inauguration function, the Revered Saint said that this campaign can also be called the Maha Kumbh of clean-up initiatives. He said that the holy books of all our religions also stress upon the importance of cleanliness. All scriptures say that the human mind can be clean and pure and illnesses can be avoided only when our surroundings are kept clean. The Revered Saint talked about how the nationwide clean-up drive actually began in Delhi in the year 2011 when the city was witnessing an outbreak of dengue. After this drive was started, the number of dengue cases dropped sharply in the city. The Revered Saint said that volunteers also inspire their neighbors to fill up forms where they promise and commit to work towards keeping their localities clean and hygienic. He said that the aim behind the campaign is to ensure that Delhi becomes the cleanest city in the country. The Revered Saint said that he started the clean-up campaign and it reached all corners of the country after receiving support from the honorable Prime Minister Narendra Modi. He said that if the government were to grant its permission and provide support, the volunteers will also ensure that the river Yamuna in the city gets thoroughly cleaned up.The Revered Saint said that people will become more aware towards cleanliness if the government starts imposing stricter fines on those who litter. While blessing the assembled volunteers, the Revered Saint said that God showers His grace when we perform the duties that are expected from us. Even the vedas say that when a man shows determination, God Himself gives him all the strength he needs. 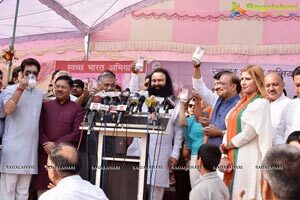 * Speaking about the upcoming comedy Jattu Engineer, the Revered Saint said that Swacch Bharat was the central theme of this movie which releases on 19th May. The movie shows the transformation that happens in a village of lazy people which goes on to become independent and helps contribute to the development of the nation. The Revered Saint demanded that the cow be declared as our national animal and said that our scriptures refer to the cow as our mother. He said that the milk of the cow is easily digested by us and the urine of the cow helps in preventing the spread of various kinds of bacteria and viruses. The Revered Saint said that people should be consuming the milk of the cow and not its meat. On this occassion, the Revered Saint also celebrated a “cow milk party” with all the assembled guests and media persons. * Speaking to media persons, Minister of State for External Affairs Gen. V.K. 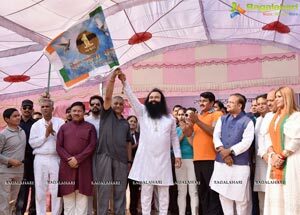 Singh lauded the clean-up campaigns started by the Revered Saint and said that we should all derive inspiration from it. He appealed to everyone to join the clean-up initiative by participating and volunteering to make it successful. 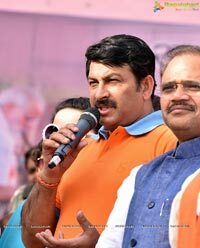 *Member of Parliament and BJP leader Manoj Tiwari expressed his gratitude towards the Revered Saint for this initiative and thanked all the assembled volunteers for their efforts and dedication to clean up the city of Delhi. 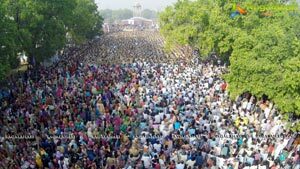 * Member of Parliament Anurag Thakur said that the humanitarian work carried out by the Dera Sacha Sauda under the inspiration of the Revered Saint is highly commendable. 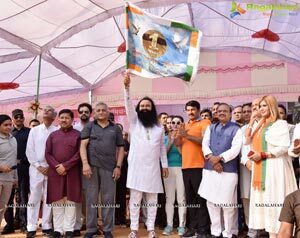 He said that organizations like the Dera Sacha Sauda are doing positive work on a large scale which even some governments were unable to do and said that e should all derive inspiration from this. 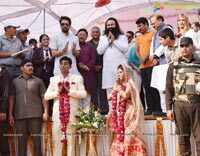 * A simple wedding ceremony was also conducted on this occasion where Delhi residents Sushil from Gokulpur and Rajni from Kantinagar tied the knot and received blessings from the Revered Saint. 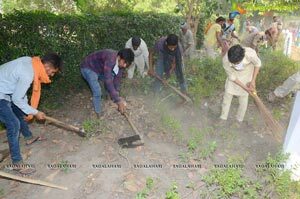 The city of Delhi saw its 4th major clean-up drive conducted by the volunteers of the Dera Sacha Sauda. 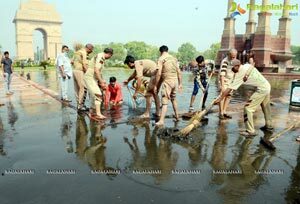 History was created on 21-22 September 2011 when Revered Saint Dr. Gurmeet Ram Rahim Singh Ji Insan started the “Ho Prithvi Saaf, Mite Rog Abhishap” campaign at Rajghat which is the memorial of the Father of the Nation Mahatma Gandhi. In the first ever clean-up drive, 4 lakh volunteers participated and cleaned up the entire city of Delhi in just around 2 days. 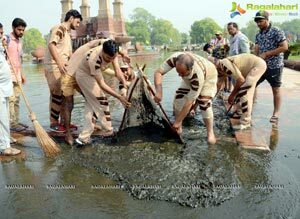 Since then, around 31 mega clean up campaigns have been conducted in various parts of India where lakhs of volunteers have managed to clean up entire cities in a single day while also inspiring residents to keep their surroundings clean. 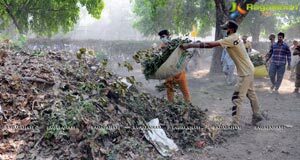 On 10-11 September 2013, another mega clean up drive was organized in Delhi where 4 lakh volunteers cleaned up the entire city in just 16 hours. 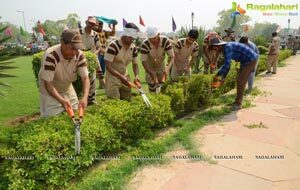 Subsequently, a clean up campaign was organized in Narela (Delhi) on 15 March 2013 where 3 lakh volunteers cleaned up the entire area in just around 2 hours. For today’s mega clean-up campaign, the city of Delhi was divided into 13 zones where volunteers who came from all across the country were deployed. 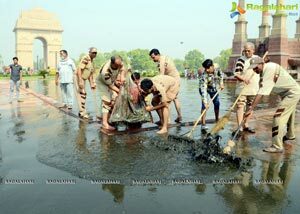 As soon as they reached the city, volunteers immediately began the work of cleaning up in their respective zones. Some volunteers also appealed to residents to sign a pledge form where they commit to keep their surroundings and neighborhood clean. Around 45 members from the respective states were supervising the work in all these 13 zones while also ensuring that the collected waste was handed over to the local administration officials for disposal.